Know what laws are being passed. 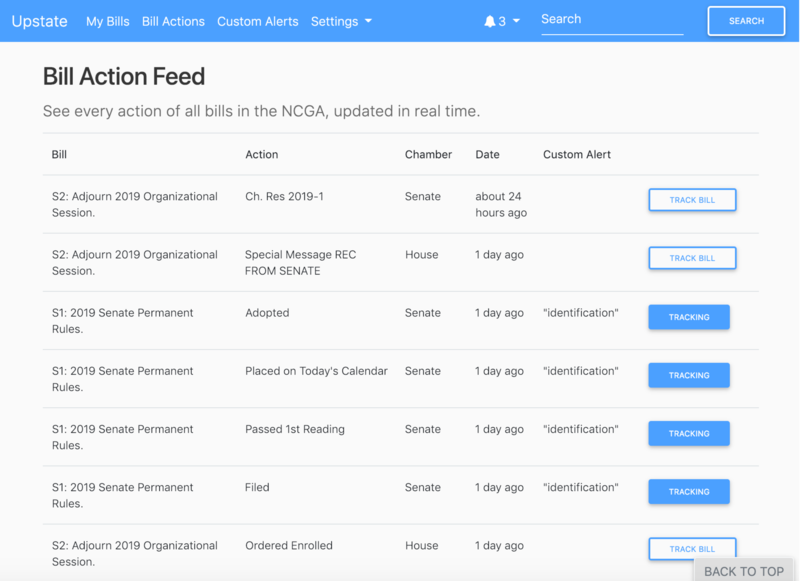 Fast, simple tracking for North Carolina. Never miss a bill again. No credit card required to sign up. Automatically downgraded to free after 30 days. 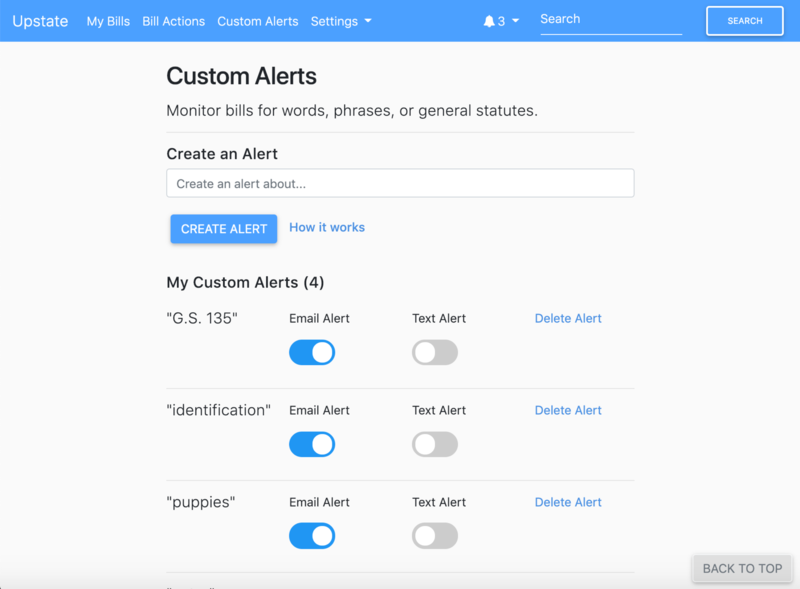 You'll only get emails from bills or alerts that you subscribe to. If you can track your dog with your phone, you should be able to track state legislation. Updates that are real-time all the time. 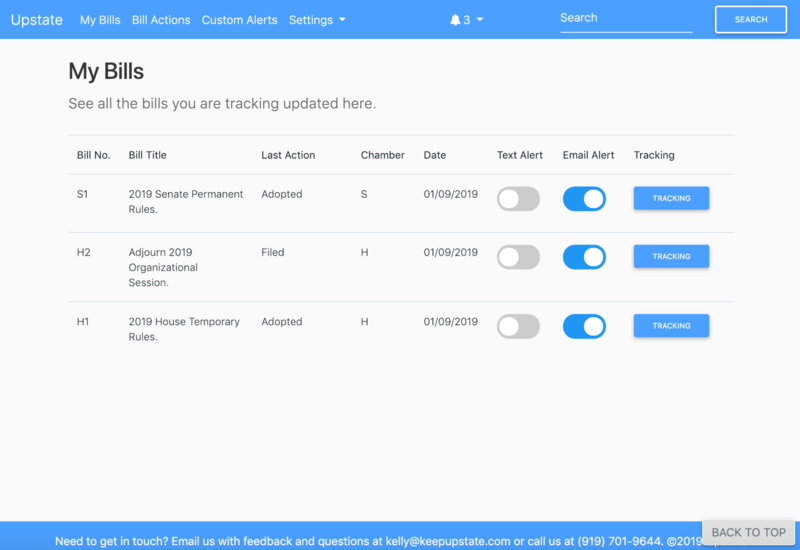 Proposed Committee Substitute Tracking Coming Soon! Know what's in a bill within minutes of it being added. Stop manually updating spreadsheets and let us do it for you. PCS's sent to your phone or inbox! Coming Soon! What's a Proposed Committee Substitute? A Proposed Committee Substitute, or PCS, uses the gut-and-amend process. A bill goes into a committee as one thing, and can come out as a completely different bill. Often times, though, the PCS isn't available online for several hours or even several days, meaning that people have to physically be at the state legislature to know what's in it. Sign up for Pro before March 1st to be added to the PCS beta at no additional charge! Modern, smart, and easy tracking for everyone. Free basic tracking for the public. Discounts for nonprofits. You'll be added to Pro for first 30 days and then automatically downgraded to free. No credit card info is needed.